With up to 100,000 bonus Velocity points to be had from a single card application this April – enough for up to 20 business class upgrades – it's easy to get your Virgin Australia Velocity balance flying. Without delay, here are this month's most rewarding personal Velocity credit card sign-up deals, spanning cards issued by AMEX, ANZ, Bank of Melbourne, BankSA, NAB, St.George, Virgin Money and Westpac. 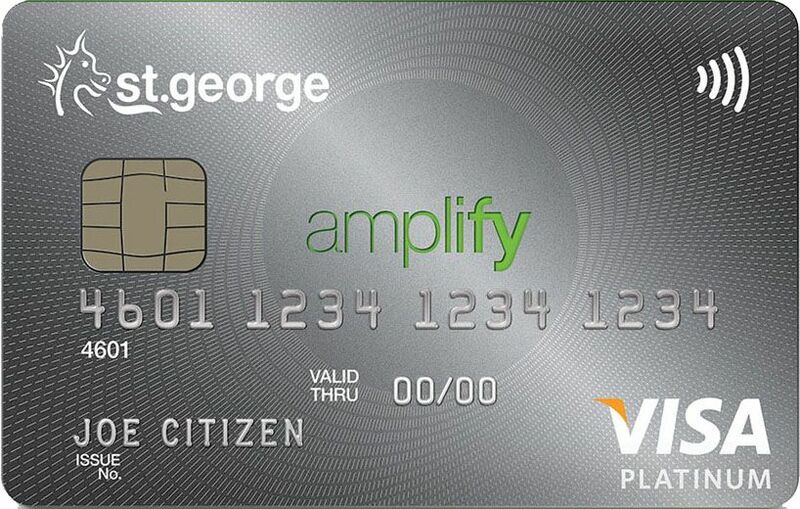 Topping the charts this month with an offer of up to 100,000 bonus Velocity points: the St.George Amplify Signature Visa with Amplify Points credit card. Apply online by May 22 2019 and spend $12,000 on eligible purchases each year for the first two years, which unlocks up to 200,000 bonus Amplify Points. With the conversion rate from Amplify to Velocity currently being 2:1, that gives you up to 100,000 bonus Virgin Australia Velocity points. In the first year, there's also a reduced annual card fee of $179, reverting to $279 from the second year onwards. What's more, everyday purchases also provide the equivalent of 0.75 Velocity points per $1 spent uncapped, boosted to 0.825 Velocity points per dollar spent once St.George's 'birthday bonus' lands in your account every year. The same bonus points offer and reduced first-year annual fee is also available on the near-identical Bank of Melbourne Amplify Signature Visa with Amplify Points and the BankSA Amplify Signature Visa with Amplify Points credit cards when applying online. With a solid offer of up to 90,000 bonus Velocity points, Virgin Money's Virgin Australia Velocity High Flyer Card temps with both a high sign-up bonus and a high ongoing earning rate as you continue to use the card for everyday purchases. Here's how it works: apply by April 30 2019, and in each of the first three months, you can earn 30,000 bonus Velocity points when at least $3,000 is spent on the card in that month – that's up to 90,000 bonus Velocity points at the end of month three, from a total cumulative spend of $9,000 (min. $3,000 per month). In return for the card's $289 annual fee, you'll also get a $129 Virgin Australia flight voucher plus two Virgin Australia lounge passes – every year, not only in the first – as well as one Velocity point per $1 spent up to $8,000 per month, and 0.5 Velocity points per $1 spent thereafter: making this Australia's highest-earning Visa card for Velocity points on everyday spend. Take the reins of up to 75,000 bonus Velocity points through Virgin Money's Virgin Australia Velocity Flyer Card. Currently offering 25,000 bonus Velocity points in each of the first three months, new customers can apply by April 30 2019 and spend at least $1,500 in each statement period, totalling 75,000 bonus Velocity points at the end of the third month, from a cumulative spend of at least $4,500. There's also a reduced annual fee of just $64 in the first year ($129 ongoing): great value given the card includes a $129 Virgin Australia flight voucher every year, although there are no lounge passes as you'd find on the higher-tier Velocity High Flyer Card. 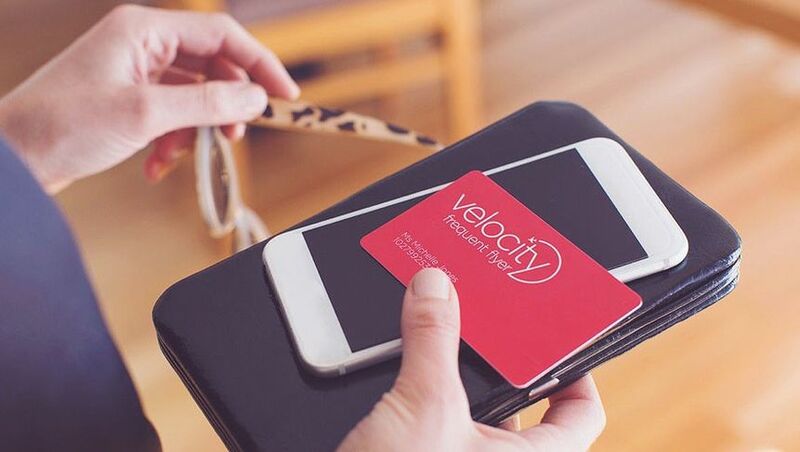 Spending on the Velocity Flyer Visa also provides 0.66 Velocity points per $1 spent up to $1,500 per month and 0.5 Velocity points thereafter, except on government and government-related payments which don't award points. Take home up to 50,000 bonus Velocity points with the ANZ Rewards Black Visa, the St.George Amplify Platinum Visa with Amplify Points card, or the AMEX Velocity Platinum Card. From ANZ, the offer is 100,000 bonus ANZ Reward Points plus $100 back to your new ANZ card when you apply and spend $4,000 on eligible purchases in the first three months. With a 2:1 conversion rate from ANZ Rewards to Velocity, that's equal to 50,000 bonus Velocity points, and while there's an annual fee of $375, it's reduced to a 'cost' of $275 in the first year thanks to that $100 statement credit. Transacting on the card also delivers up to one Velocity point per $1 spent – awarded as two ANZ Reward Points per $1 spent up to $5,000 per month, and one ANZ Reward Point per $1 spent thereafter, being 0.5 Velocity points per dollar spent. 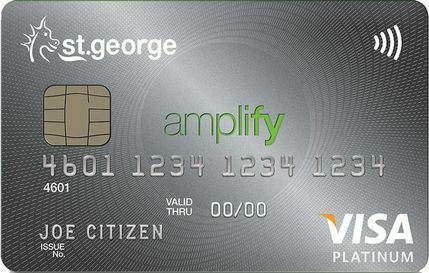 Over at St.George, the Amplify Platinum Visa with Amplify Points card is delivering up to 100,000 bonus Amplify Points over two years – worth 50,000 Velocity points at today's 2:1 conversion rate – when you apply online by May 22 2019 and spend $6,000 on eligible purchases each year for the first two years. Featuring an affordable $99 annual fee, you can also earn 0.5 Velocity points per dollar spent, uncapped: provided as one Amplify Point per $1 spent, converting to Velocity at that 2:1 rate. This offer can also be found on the Bank of Melbourne Amplify Platinum Visa with Amplity Points and the BankSA Amplify Platinum Visa with Amplify Points credit cards, which like St.George, are all backed by Westpac. Finally, the AMEX Velocity Platinum Card is offering 50,000 bonus Velocity points when you apply, are approved, pay a $375 annual fee and spend $3,000 on purchases within the first three months of the card approval date. From April 15 and beyond, you can also earn 1.25 Velocity points per $1 spent on most purchases, uncapped – 1.5 Velocity points per $1 spent before that date – although government transactions (such as using the card at Australia Post or with the ATO) provide a reduced 0.5 Velocity points per $1 spent. In fifth place with offers worth 40,000-45,000 bonus Velocity points, the NAB Rewards Signature Visa (45,000 points), the American Express Westpac Altitude Black Bundle (40,000 points), and the AMEX Platinum Charge Card (40,000 points) – here's what you need to know about each card and its offer. NAB: Apply for a new NAB Rewards Signature Visa credit card and spend $2,500 on everyday purchases within 90 days of account opening to earn 90,000 bonus NAB Rewards points, equal to 45,000 Velocity points following a 2:1 conversion. There's a $295 annual fee to pay, although NAB warns that the bank "may vary or end this offer at any time", so if this one's for you, don't delay. 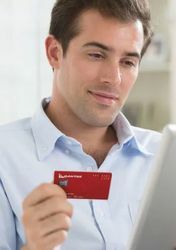 Westpac: The American Express Westpac Altitude Black Bundle includes both a Westpac Altitude Black Mastercard and an American Express Westpac Altitude Black Card, with a separate sign-up bonus offer on each card. It all starts when you apply for the bundle by June 2 2019, opt for the Altitude Rewards program and spend $3,000 on eligible purchases within 90 days of card approval using the Altitude Black Mastercard. This provides 80,000 bonus Altitude Rewards points, worth approximately 26,667 Velocity points, with a $250 annual fee to pay. Separately, you can pocket 40,000 bonus Altitude Rewards points (worth 13,333 Velocity points) when spending a separate $3,000 on eligible purchases using the American Express Westpac Altitude Black Card within 90 days of card approval, giving you a grand total of up to 40,000 bonus Velocity points overall, when you take advantage of both offers. This card attracts a separate $199 annual fee. AMEX: The American Express Platinum Charge Card is offering 80,000 bonus Membership Rewards Ascent Premium points when you apply, are approved, pay a $1,450 annual fee and spend $3,000 on purchases within the first three months from the card approval date. For many years, those 80,000 Membership Rewards points have been equal to 80,000 Velocity points, given the generous 1:1 conversion rate AMEX has long adopted on these transfers, but as of April 15 2019, that conversion rate is now 2:1 – which means converting 80,000 Membership Rewards points to Virgin Australia fetches only 40,000 Velocity points instead, a drop in value of 50%.